Living on Ambergris Caye, Belize means living on a tropical, Caribbean island, but it does not mean that people have to leave all of their modern comforts behind. Grand Baymen has a community replete with condominium homes that serve equally well as vacation homes or a place for retirement, and they are on an island that offers those on a fixed income an inexpensive place to live. The community of Grand Baymen offers people one-bedroom, two-bedroom or three bedroom homes similar to the type of housing they will find in the United States. They will be safe in this community because it is protected by a secure gate that also gives them access to their own section of a private beach. The community has several ways in which residents can enjoy the company of their fellow residents. Grand Baymen has tennis courts, a private fitness center and a swimming pool that residents can visit to their heartsÂ content. When they wish to visit the nearest town of San Pedro, they will find that they will have no trouble understanding the language because most everyone speaks English. Ambergris Caye is the largest island in Belize, and it has so much to offer for those who like to sight-see. 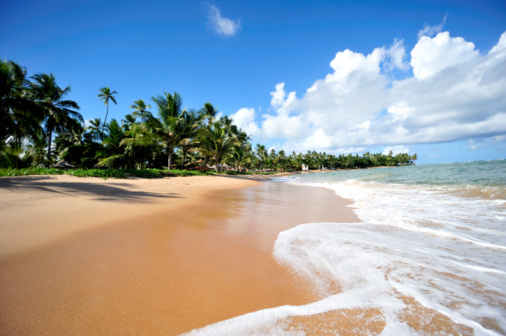 Residents can visit the beaches year-round because the weather is always warm and comfortable. Those who are adventurous have several options for fun, including snorkeling where they will be able to swim with all of the brilliant fish in the sea. The island is home to a rain forest where many natural treasures are waiting to be found. Within the forest, visitors will be enchanted by the waterfalls and the caves. They will come in contact with animals they would not have a chance of seeing in the United States along with the ruins of the ancient Mayans. New residents will find that the atmosphere on Ambergris Caye is much more relaxed than the one they are used to in the United States. The people are friendly and welcoming to their neighbors from the North. New residents will delight in the fact that they will be surrounded by so many different cultures living in harmony, but they will feel right at home because everyone is speaking the same language. The island is home to different types of architecture with the typical wooden houses that people would expect to find on a Caribbean island. Residents will also notice the British influence in the colonial architecture around the island. When they travel to the closest town, they will be able to buy souvenirs for their friends and family back in the United States at the many boutiques and gift shops. When they want to enjoy a night out, they have several bars, cafes and restaurants that serve this purpose well. Living at the Grand Baymen is a great choice for those who are looking for an inexpensive place to have a vacation home or a less expensive place to retire than the United States. The island is beautiful, and the people are too. Americans could not ask for more in a Caribbean island retreat.